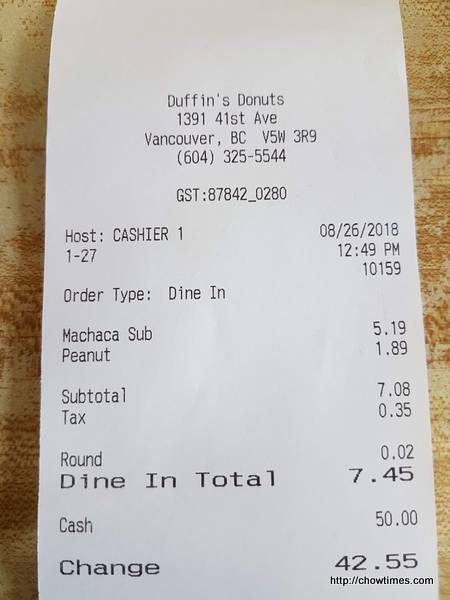 Ben and I went to Duffin’s donuts for a light lunch after church service on a Sunday. 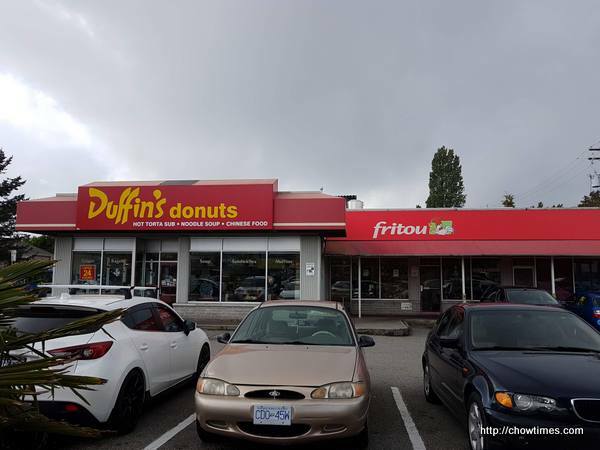 Duffin’s donut is a Vancouver iconic restaurant serving donuts, sandwich and fritou chicken. The Chinese food section had closed though. We did not have the fritou chicken this time as we just wanted something light. 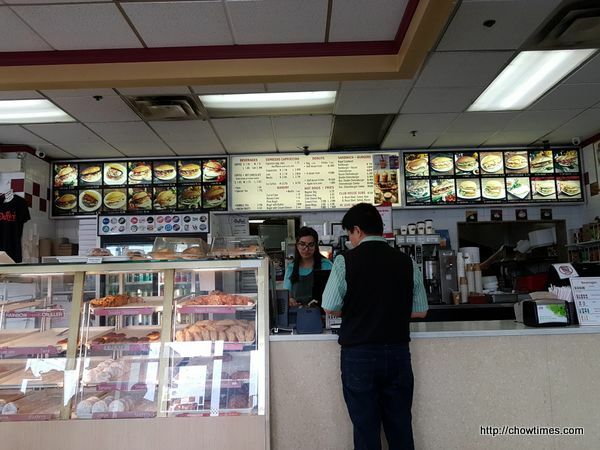 There is a lot of options for sandwich. 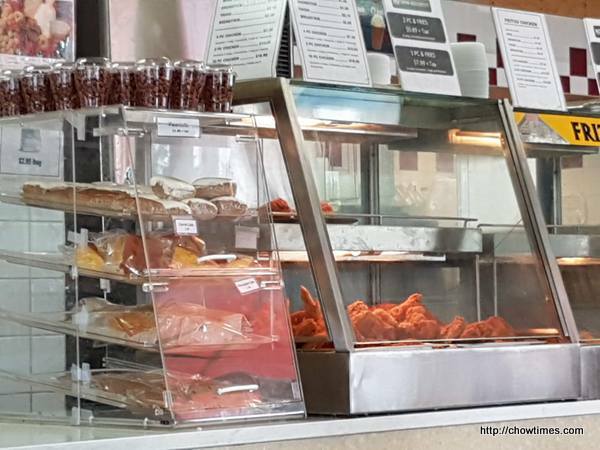 Customer orders and pays at the counter and wait for their number to be called to collect the food. We shared a Machaca Sandwich. 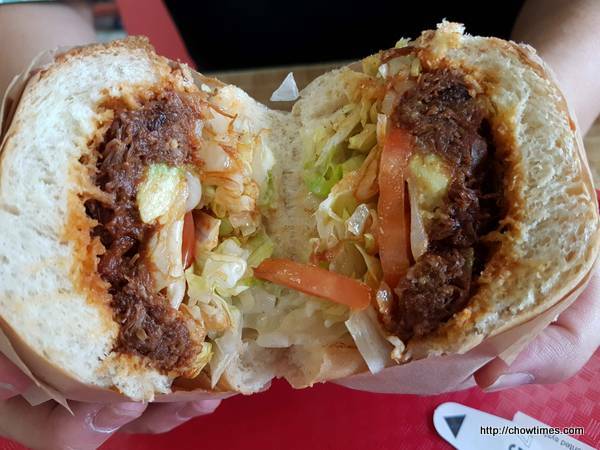 It tasted like pulled pork sandwich with a hint of spiciness to it. 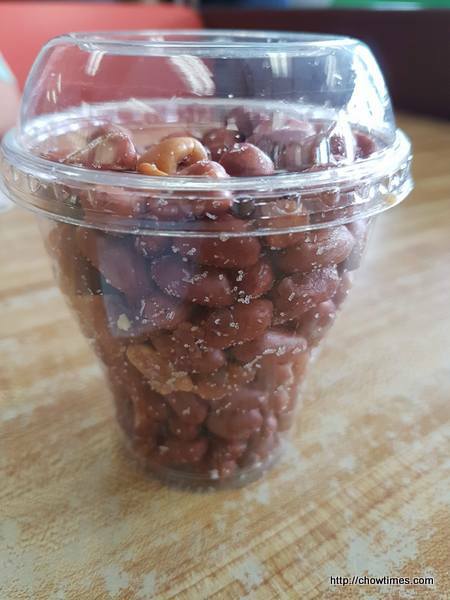 We also bought some fried peanuts to go. I like to snack on peanuts and they are great with rice or dry mixed noodles.